"Professional" is a funny word for our coaches. While they are paid for coaching, there's something rigid about the word. 'Professional' seems boring or less committed than 'volunteer.' We've found it to be the exact opposite. Our coaches are here to make this the best possible sports experience. They're here to bring energy, passion and expertise. To make sure our players are getting better and having fun. If doing that -- leading a team, having fun, being around football -- constitutes a "job," then maybe it's not so bad to be a "professional." Every team should have a responsible, knowledgeable role model. 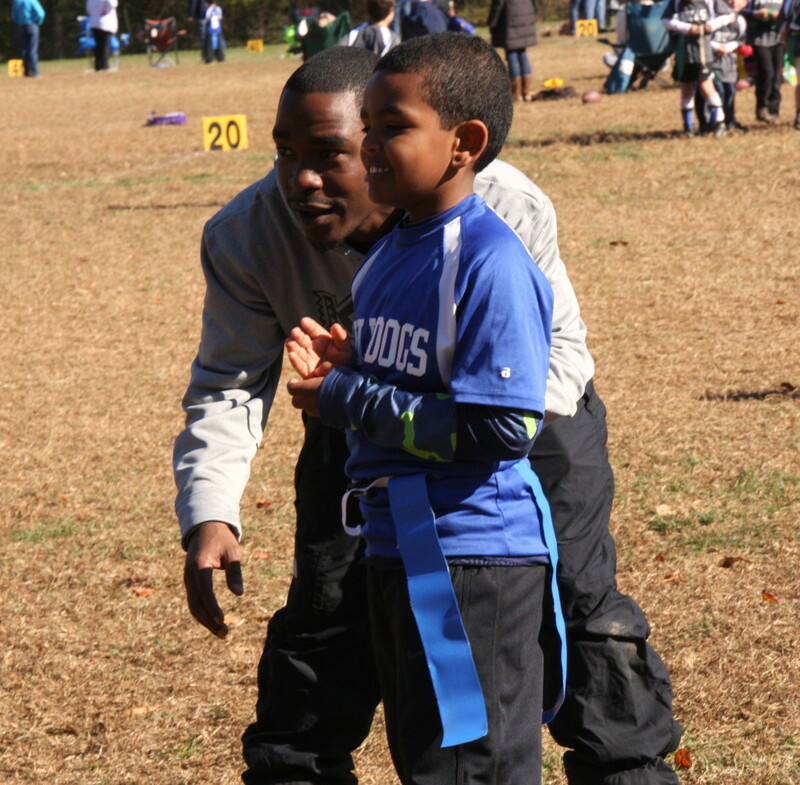 For some groups, you already have that person in the form of a parent coach -- a neighborhood mom or dad who loves the game and has some extra time. In that case, you're all set and your squad should register for our parent-coached option. Note: Parent Coaches are also welcome to our training sessions! For other groups, groups looking for an outside flag-enthusiast to help lead their squad, we're happy to connect your team with a coach. Our coaches are hand-picked, well-trained and ready to get the season going! Check back towards the start of the season for a list of coach bio's!